Your path to peak performance on the musical stage starts here! 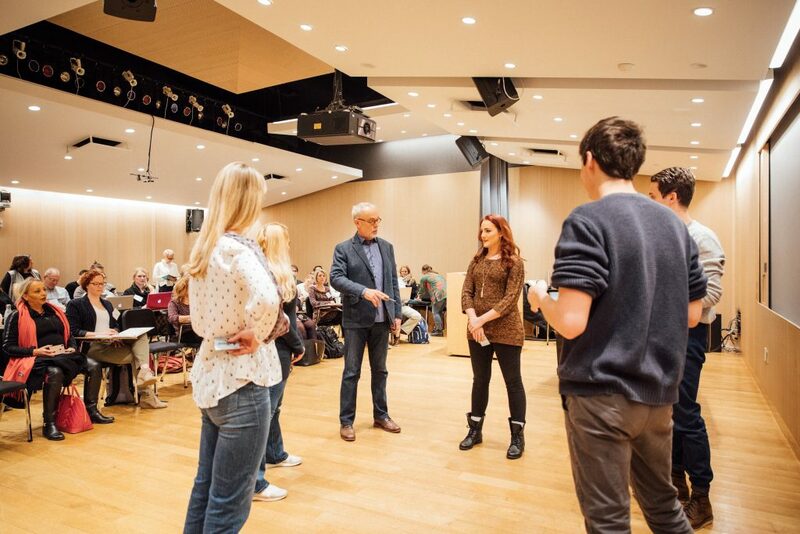 The SAVI System of Singer-Actor Training is a high-performance pedagogy, a distillation of 40+ years of experience in academia and professional musical theater. SPECIFIC, filled with brave, bold choices. AUTHENTIC, with a deep sense of personal truth. INTENSE, larger than life, with plenty of strength, stamina and control. In the SAVI System, the foremost responsibility of the singing actor is to “create behavior” – in other words, to use your voice, eyes, face and body to express the drama. “SAVI Cards,” a featured component of the SAVI System seen on the book cover, are an innovative training tool that will improve your ability to create expressive behavior and coordinate it with a musical score. Charlie Gilbert, creator of The SAVI System and author of The SAVI Singing Actor, and his co-teacher and partner D’Arcy Webb will be presenting workshops at this year’s International Thespian Festival, the premier event for high-achieving theater students and their teachers held annually in Lincoln, Nebraska. Also this summer, they’ll be presenting workshops in Philadelphia and at The Wyoming Seminary’s “Summer at Sem” performing arts camp. 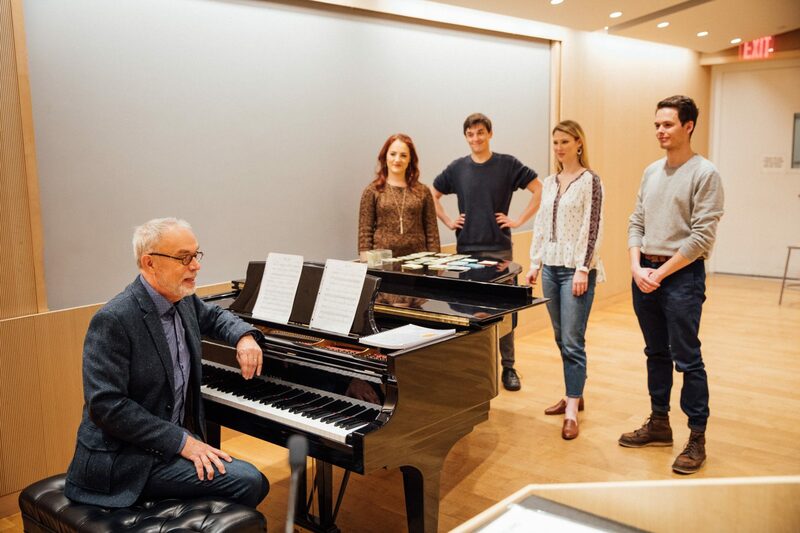 In a recent workshop at the annual conference of the Musical Theater Educators Alliance in New York City, educators and young professionals were introduced to the power of SAVI Cards. Students at The University of the Arts in Philadelphia were able to take a fourteen-week class exploring the SAVI System in depth last fall. What are they saying about SAVI? 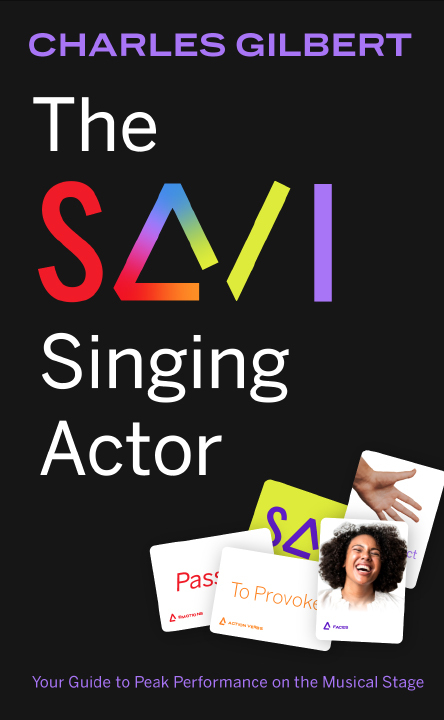 Sign up now to join the SAVI VIP list and you’ll receive an excerpt of The SAVI Singing Actor; as a SAVI VIP, you’ll also receive priority offers to purchase SAVI Cards and The SAVI Singing Actor. Interested in scheduling a workshop or residency at your school or arts camp? Click here to contact Charlie Gilbert, the SAVI Savant. The SAVI Singing Actor, Proudly powered by WordPress.